‘Sometimes the smallest step in the right direction ends up being the biggest step of your life’. We are at the end of 2017. Another fruitful year has passed by. With a bagful of memories, we are all set to welcome 2018 with open arms and optimism. As a common practice, people are ready with their list of ambitious resolutions. Some promise to learn a musical instrument in a month, some plan on quitting smoking or alcohol, while others choose to take up a hobby. These resolutions sound fantastic on paper but fulfilling them with diligence and sincerity is something that Only a few achieve. In addition to this, people are drawn towards making bigger and better resolutions, ignoring the small and simple ones. Joyce Meyer once rightly claimed, ‘I believe that the greatest gift you can give your family and the world is a healthy you’. So, this New Year, how about you add a few simple healthy resolutions to your list, and let the healthier you enjoy 2018 with good health! 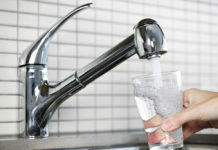 Drink adequate amount of water—this is a fact that has been established by many experts and health specialists. Stay constantly hydrated to maintain essential bodily functions and feel fresh. Ensure that you have a water bottle with you at all times, and consciously remind yourself to drink water at regular intervals. Slice fresh pieces of cucumber, oranges or lemons to add some flavour and nutrition to your water. Bring home Dr Aquaguard WaterPurifiers and ensure that you and your family are drinking only healthy water. Losing weight is one of the most common resolutions! Regular workouts and gyming sessions are planned out well to achieve your magical number. However, as the excitement of the New Year fades away so does the enthusiasm of going to the gym. Hence, to combat this problem, set smaller goals for yourself. Chart out a jogging or an evening walk schedule that can be achieved with minimal efforts. Starting with this gives you a great head start to move on to physically exhausting exercises. The alarming headlines, thick smog in the air and the sudden drop in air quality has left many people worried. Greenpeace’s report named Airpocalypse says, ‘As many as 1.2 billion deaths take place every year due to air pollution’. It’s high time we take a few steps towards analysing the quality of the air we breathe in and ensure that it’s healthy. 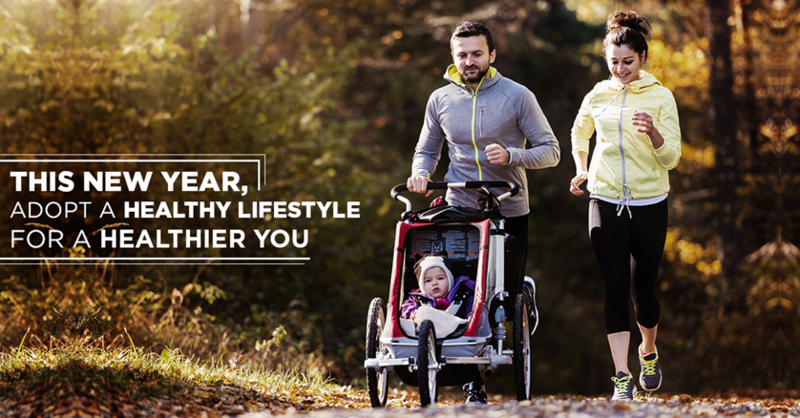 This coming year, ensure the air you and your family breathe indoors is purified through Dr Aeroguard Air Purifiers. You can also bring home a few air purifying plants to circulate fresh air in your home. Stressful schedules and endless errands lead to a cluttered home. A cluttered home can result in dust mites breeding in your bed and sofa & accumulated dirt in hard-to-reach surfaces. How about stepping into a new year with a de-cluttered and tidy home? Begin the new chapter of your year with a spotless and healthy home. Invest in the Euroclean range of vacuum cleaners that help to deep clean your home and make it a healthy living space. A new year is a fresh start to a new life. So, a few simple steps towards a healthier life will definitely help you and your loved ones have a happy and healthy year ahead. Previous articleIs it possible to study well and stay a normal person?